Color has always been my single most important visual stimulus. For me, pattern, texture, size, and shape are all secondary to hue. 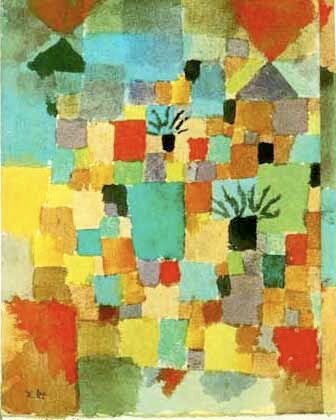 I've always felt an affinity toward artist Paul Klee for his expertise in the subject of color. Though it took him years of study to develop his color theories, it only takes one look at his work to note his skill. This vintage poncho immediately evoked the work of Klee, both because of the color and geometric pattern. Klee (1879-1940) was a Swiss-German expressionist painter. Although he was aligned at times with German Expressionism, Surrealism, and Cubism, he eluded categorization into any one movement. 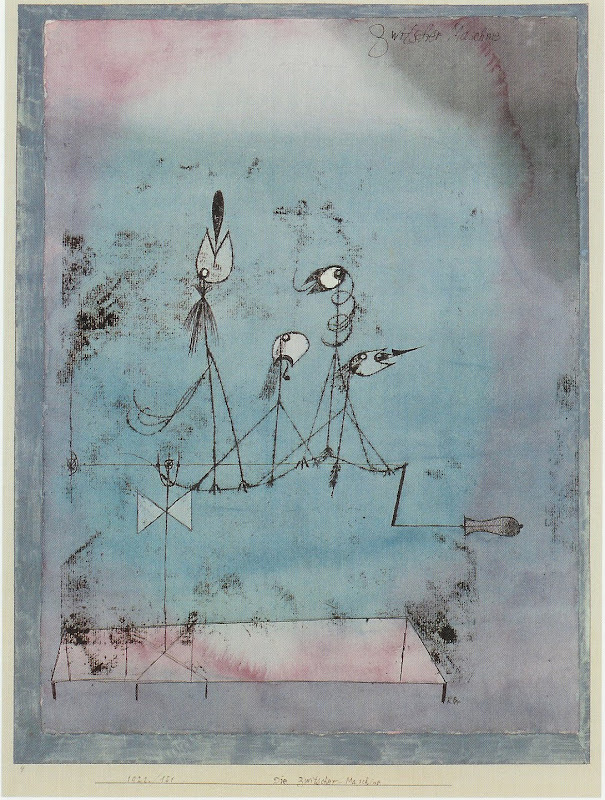 Klee was very influenced by the work of fellow Blaue Reiter artist Wassily Kandinsky (discussed here), and the idea of comparing painting to a musical composition. Throughout his life, Klee's main goal through his art was to pursue the understanding of color. Although he struggled with it early on, he went on to become an expert and even published books on the topic. After a mini-blizzard last week, I was excited to debut the cozy snow boots sent to me by Cougar. The multiple layers of knit, faux fur, and suede, make them like wearing thick socks and boots at the same time. They're guaranteed warm to -22 degrees F, but they're not too clunky to wear when it's 38 degrees (which is plenty cold enough for me). I'm wearing a metallic vintage Guatemalan poncho, Patagonia thermal tee, Citizens of Humanity jeans, and Cougar Ravishing snow boots. Beautiful blues! I'm really starting to appreciate color myself. Love the boots too! I love your application of art to your outfits. You are such an inspiration. The colours you wear are always amazing! It's great how you bring to life the art with your clothes! 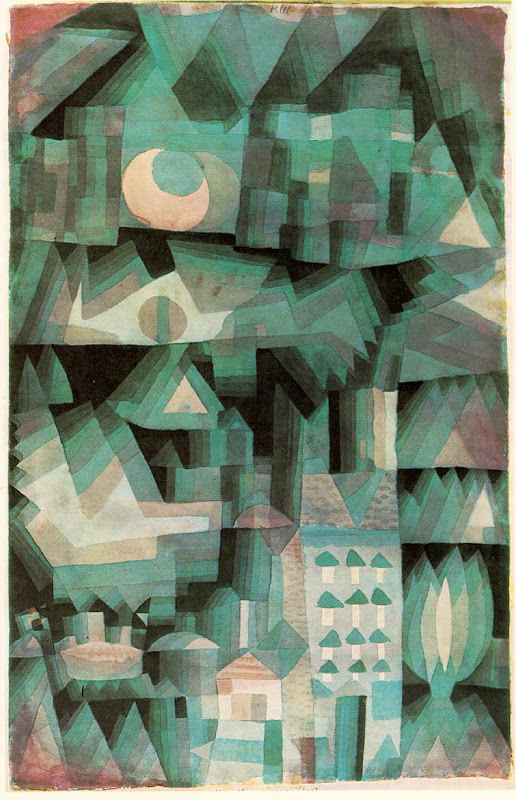 I'm so surprised by Klee's works you have on your entry; each one looks so different that it's hard for me even to tell that they were done by the same artist, except for the repeated use of that soft teal/aqua/whatever you want to call it. 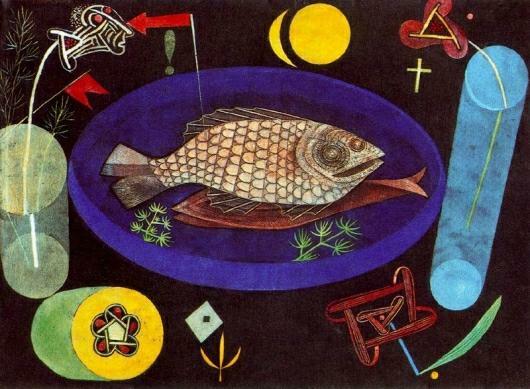 The figures in the fish plate and one under it are so different. I like the first and fourth the most - they feel more "full" to me. I think I can see really how you relate to Klee. Color is all-important, and the other styles, figures, subject matter, everything else - are all secondary. You would die if you tried this burrito! It is so good! Thanks for the comment! awesome! the poncho looks so much like the first painting. the art museum where i went to college had a Klee... stunning. klee himself would have liked all that a lot. this poncho is sooooo cool!!!! i love your sweet comment - THANK YOU! remember that you can easily stay in touch with my blog with k come karolina on bloglovin, facebook and twitter :)and....i'm hosting an GIVE_AWAY on my blog now! Hey there! Check out my new post! I just awarded you the Stylish Blogger Award! poncho and boots are so cute! that vintage poncho is fabulous!! i love the colors! consult with physiotherapists before and during a massage. the individual is considered disqualified from engaging in clinical practice if not certified.